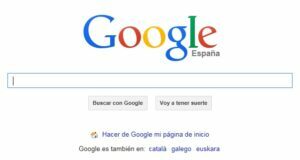 In the fall of 2014 the Amsterdam Court was offered a chance to shed light on the interpretation of the Google Spain (Costeja) decision of the European Court of Justice, which created a ‘right to be forgotten’. The court then ruled that Google was right to refuse to remove links to refused a convicted criminal to profit from this judgment. To our knowledge, this was the first decision in its kind. Last week, the Amsterdam court ruled on yet another request to be forgotten. It again found in favour of Google and this time decided that the right of removal is not meant to suppress links to unpleasant news reporting. In these preliminary relief proceedings, the Court of Amsterdam was asked to re-apply the Consteja decision because Google refused to remove links to news reports about a KPMG partner. The man in question had an argument with his contractor, which forced him to live in a container on his country estate for quite some time. Apparently the KMPG partner refused to pay the contractor’s bill, whereupon the contractor changed the locks. After a report in Dutch daily newspaper De Telegraaf various media picked up the story. According to some media, the affair was symbolic of the culture within big accounting firms. Understandably, the KPMG partner was not pleased that his private concerns where the subject of press coverage. He wanted to end this by invoking the Costeja decision. The next question that needs answering is whether under the circumstances of the case at hand the search results are indeed irrelevant. The judgment underlines that this does not concern the news articles themselves: “When applying the so-called ‘right of removal’ this particularly relates to – briefly put – the relevance of the search results found, rather than whether the contents of (in this case) the articles found are themselves inadequate, irrelevant or excessive”. The KPMG partner argued that the ‘container story’ is no longer relevant. According to him, this concerned a private matter that occurred two and a half years ago. The judge concludes that the search results are not irrelevant at this moment. An important indication for the relevance is the fact that the affair was still mentioned in articles published near the end of last year. With respect to the duration of the relevance, the judge is of the opinion that the ‘container story’ cannot be compared to the facts of the Costeja decision. The announcement in which Consteja’s name was mentioned dated back 16 years. The judge notes that the search results could be considered irrelevant in the future: “With regard to the relevance in time the question is when a search result may be deemed to be recent. Google Inc has brought forward that after investigation it has concluded that in any case at this moment the search results are still considered to be recent now that they have been published in the period 2012-2014, but that within a number of years this might be different. In this respect, the Court in preliminary relief proceedings follows the position of Google Inc”. As the judge emphasizes that the purpose of the right of removal is not to suppress unpleasant news, the judgment provides solid support to the media. Moreover, the judgment underlines the importance of search engines to make news available online. In a way, the judgment helps remedy the lack of attention given in Costeja to the media’s interest in being found on the internet (via search engines). This aspect of the freedom of speech seems to have been somewhat overlooked by in the Costeja decision and played no apparent role in the assessment of the Court of Justice. As a result, there was fear that following the Consteja decision, national courts could oblige Google to suppress results to news articles. The Court of Amsterdam steers away from that scenario. However, the last word is yet to be said on the subject. After all, the Court implies that there could be room for removal of search results which are less recent. The KPMG partner also contended that there were other serious grounds that merit removal of search results. Friends and business relations apparently continued to go on about the ‘container story’. The judge, however, let the freedom of speech prevail over this nuisance: “The fact that the claimant does not like it that he is still confronted by his acquaintances or business contacts with the ‘container story’ is very understandable. However, this does not outweigh the right of freedom of information of Google Inc.” This reveals a more nuanced approach than that adopted by the EU Court of Justice, which only acknowledged an economic interest of Google. The Amsterdam Court concluded that the search results could remain online (at least for the time being).